For retro design buffs, it’s been mostly a wonderful thing that the classics are being recreated. Making desirable pieces such as the Componibili and Joe Colombo’s Boby storage unit available in modern materials at great prices has given homes everywhere an injection of cool. Diehards with the budget to match of course will prefer the vintage originals but for new parents suddenly on one income, these pieces are perfect for maintaining a great-looking environment on a budget. I can envisage the Boby (first produced in 1968) being not only a fantastic storage unit for all those small bits and bobs but also a brilliant exploration object for children! The thrill of looking in every compartment to see what’s hidden within would be endlessly exciting. 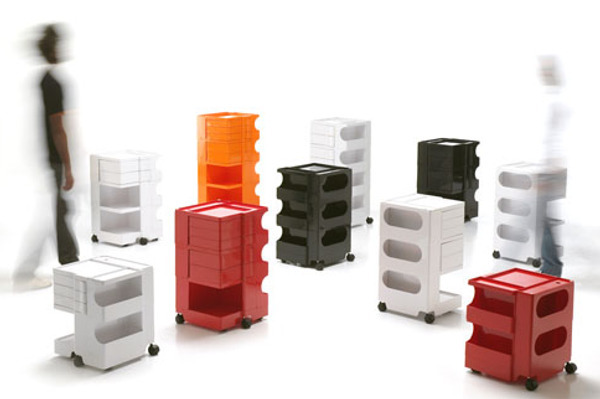 We also love Stefan Bench’s Quby moulded polyethylene bookcase units. Modular, modern and versatile, mount them on the wall or sit them on the floor. 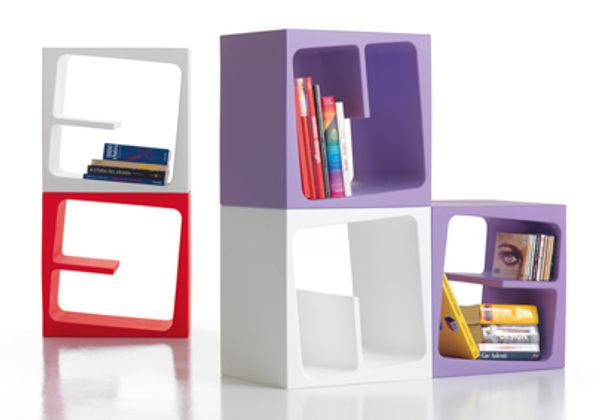 I would love one of these for a bedside table as my books seem to pile up ridiculously. Both of these design items present kid-friendly fun decor options for families. The Boby unit is available from Nova 68 but the Quby is not yet on the market.